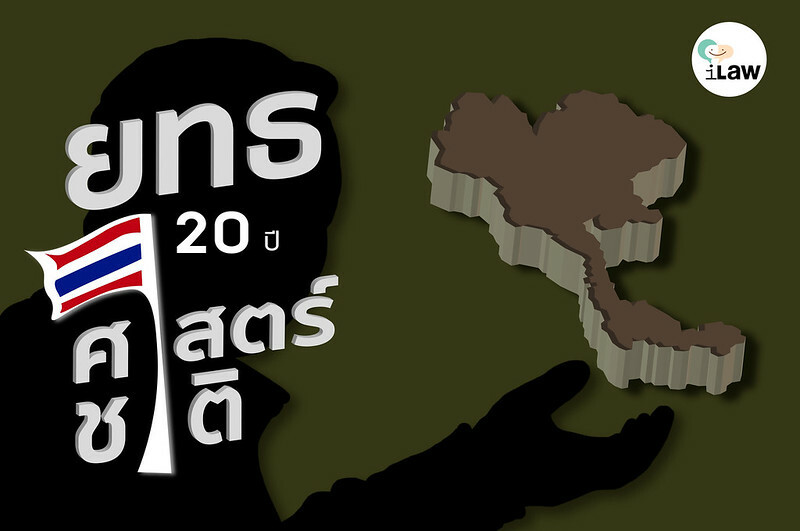 What is Thailand’s 20-Year National Strategy? The 20-Year National Strategy is a national development plan, setting out frameworks and directions for the all public sectors to follow. All this to be completed in order to achieve the vision of “Thailand, a nation of Stability, Prosperity, and Sustainability, is a developed nation according to the economic philosophy”, or to achieve as the slogan of “Stability, Prosperity, Sustainability”. The plan will be enforced for 20 years, from 2017 – 2036. 6. Rebalancing and public sector development. Where will the 20-Year National Strategy come from? “Section 65 The State should set out a national strategy as a goal for sustainable development of the country under the principle of good governance to be used as a framework for formulating consistent and integrated plans in a congruous force to achieve such goal. The formulation, determination of goals, prescription of time for achieving such goals and contents that should be in the national strategy shall be in accordance with the rules and procedures as provided by law. Such law shall also contain provisions relating to people’s participation and public consultation throughout every sector. Regarding to Section 65, a separate legislation is enacted, “The National Strategy Drafting Act 2017”. The Act is to set a framework for executing the Strategy. This includes appointing the National Strategy Committee and the National Strategy Drafting Committee, conducting public hearing, monitoring, inspecting, and evaluating public agencies and their performance on executing the National Strategy. Why must there be the 20-Year National Strategy? Gen Prayut Chan-o-cha, the Head of the National Council for Peace and Order (NCPO), stated that we must come up with a shared vision for the next 20 years. How we want our nation to be, we follow that plan. There must be an economic development plan. Every administration must carry on the plan – the work, the people, and the budget – to be complete annually and every 5 years. The Strategy should lead us out of the middle income trap as soon as possible. We must be a high-income country within 20 years. Gen Suchart Nongbua, a member of the National Legislative Assembly (NLA), and a member of the National Strategy Drafting Act Subcommittee, explained that a national plan should be in place for at least 10 years. So a 20-year plan is not too long. Thailand has never had a national strategy before. We only had strategies for each department, for example Security Strategy, Public Health Strategy, or Defence Strategy. A national strategy would help planning the Nation Development Plan and implementing national development. This is because the National Strategy states on how plans will be implemented in the next 20 years. A diagram by Gen Wilas Arunsri, the National Strategy Drafting Subcommittee Chairman, the Secretariat of the Prime Minister, illustrated the framework. When National Strategy is imposed, there will still be National Economic and Social Development Plan, as well as National Security Policy. The 20-Year National Strategy will be the grand strategy. Everything must be planned in accordance with the National Strategy. This includes national policies, administration policies, and other departments’ policies. What are the 20-Year National Strategy’s controversy? 1. The official drafters are 34 members of the National Strategy Committee – 17 ex officio members and 17 qualified members appointed by the Cabinet. The Prime Minister is the chairman of the committee. It is obvious that the Strategy will be drafted by the NCPO members and its allies. 2. When the National Strategy comes into force, the next elected governments will have to declare their policies and propose their annual budget based on the National Strategy. This can be concluded that the National Strategy will be more significant than the elected parties’ policies. 3. The original copy of the National Strategy was not drafted according to the 2017 Constitution. It was drafted in a secret by a committee, appointed by the cabinet resolution on 30 June 2015. This draft was never disclosed to the public. 4. There is no people participation. This is because the National Strategy Drafting Act 2017 states that the previous public hearings that passed shall be included as people participation for the National Strategy. It is possible that there will be no other hearing on the Draft.